???? ?He’s still out there. Two grand old men of popular music – Charles Aznavour (94) and the jazz pianist Ahmad Jamal (a mere 88) – cancelled concerts for health reasons recently. Content company Wisebuddah has signed a deal with promoter Senbla to become the exclusive audio partner of forthcoming London shows from Quincy Jones and Burt Bacharach. As well as recording the concerts, Wisebuddah will create two programmes dedicated to each live show to air on BBC Radio 2. The 24th season of the Adirondack Theatre Festival will kick-off on with the romantic musical Some Lovers. The show will open at the Charles R. Wood Theater, located at 207 Glen Street in downtown Glens Falls, June 15th-23rd, with a preview on June 14th. Santino Fontana, John Cariani, Donna Lynne Champlin, More Set for Cabaret & Concert News Promises, Promises in Concert Jack Cummings III will direct the evening for the Transport Group. Transport Group has announced initial casting for Promises, Promises, the company’s second musical in this season’s Anne L. Bernstein Concert Series. Burt and his band have added a second date in Italy this summer. In addition to the previously announced show in Rome on July 25, Burt will be performing at the Teatro degli Arcimboldi in Milan on July 23. For the most up to date list of shows, visit the On Tour page. 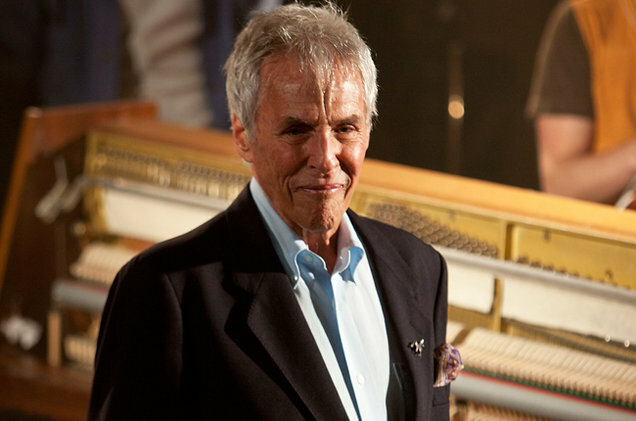 Burt Bacharach, der lørdag den 12. maj fylder 90 år, kunne hvile på sine laurbær, hvis han ville. I bevidstheden om at hans musik spilles verden over og sikkert bliver spillet mange år endnu. Han blev født i Kansas City tilbage i 1928, og han har dermed en alder, hvor alle kan forstå, hvis han vil slappe af.